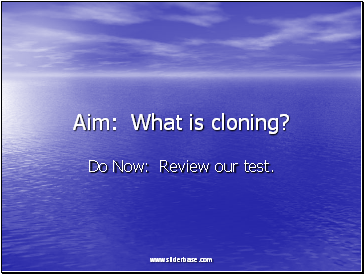 Do Now: Review our test. 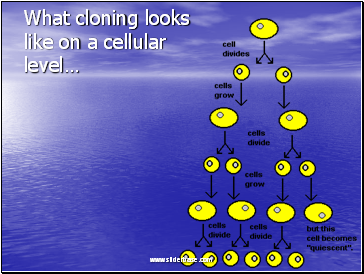 Clone refers to genetically identical cells originating from one cell. 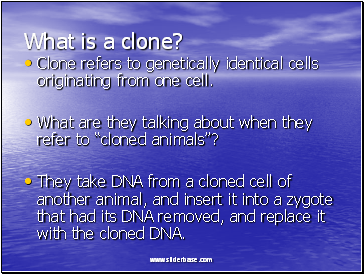 What are they talking about when they refer to “cloned animals”? 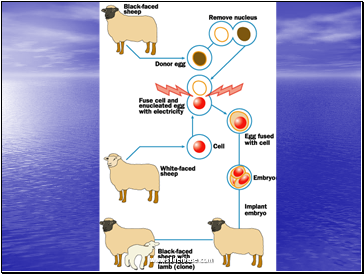 They take DNA from a cloned cell of another animal, and insert it into a zygote that had its DNA removed, and replace it with the cloned DNA. 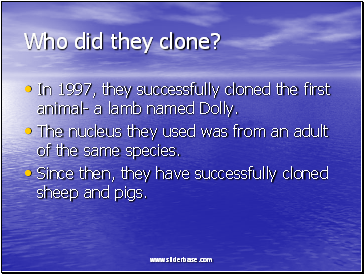 In 1997, they successfully cloned the first animal- a lamb named Dolly. The nucleus they used was from an adult of the same species. 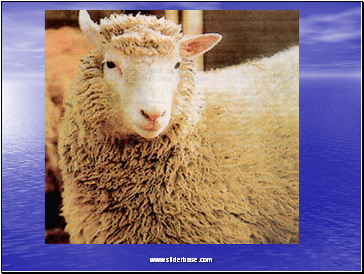 Since then, they have successfully cloned sheep and pigs. 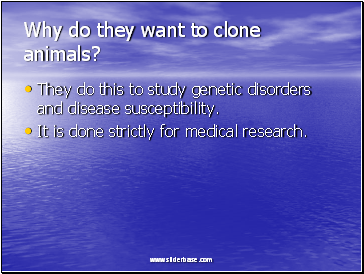 Why do they want to clone animals? They do this to study genetic disorders and disease susceptibility. It is done strictly for medical research. Turn to page 331 and read up to 333. 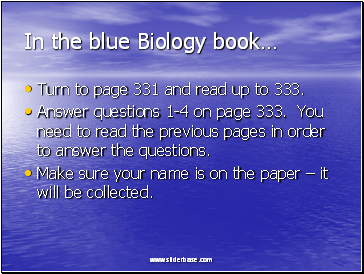 Answer questions 1-4 on page 333. You need to read the previous pages in order to answer the questions. Make sure your name is on the paper – it will be collected.